Stop Complaining Start Achieving - Something New Everyday! 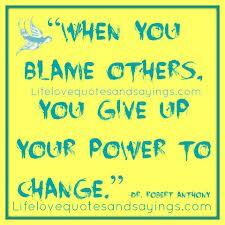 Your complaining attitude takes you away from your success. In fact it won't be wrong if I co-relate this with Newton's law that complaining and achieving success are equal in magnitude but opposite in direction. This means that the more you complain about your circumstances the more you move away from your destination and vice versa. On top of that, if you keep complaining, you will give birth to two more mental diseases which are 'blaming' and 'criticizing'. 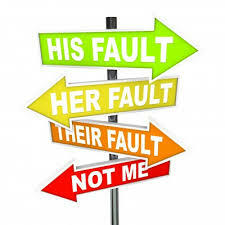 When you don't like your circumstances you start finding faults in people around you and then you start blaming and criticizing them for your failures. Hence all three diseases, complaining, blaming and criticizing strengthen their roots in your brain and eventually this negative attitude becomes your personality trait. When you complain you waste your precious time. You build negative energy which piles up in your brain stealing your peace of mind leading to chronic psychological disorders hence it's a concrete physical, mental and emotional loss which is no way closer to any kind of benefit. On the contrary, if you are a hard working soul, you believe in your skills instead of luck. You believe in the power of Now. You believe in power of making things happen instead of waiting for things to happen. Your analytical skills give you the luxury to break down the bigger problem into smaller problems and then you start fixing each problem one by one, moving near to your ultimate goal slowly and steadily. So now is the time to decide whether you would like to live as a loser by complaining, blaming and criticizing OR live like a successful chap, the one who doesn't waste the time by looking in the past, the one who does not have a negative thought process, the one who is visionary and the one who once make a commitment then focuses on it all the way till the task is accomplished. 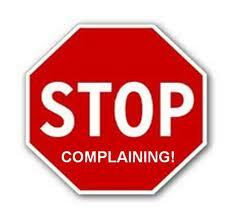 Complaining causes draining of energies and you are in position to lose your powers in this world of competition.